Sometimes all we need is a little something extra to complement that nearly perfect outfit. 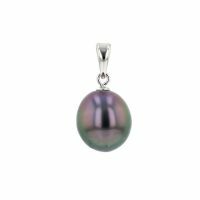 A Tahitian pearl pendant adds that extra touch of class and elegance that every woman needs. 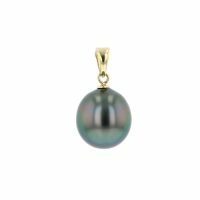 At Hinerava Pearl Jewelry, we offer Tahitian pearl pendants that are appropriate to wear every day from lounging on a relaxing Sunday to going on a romantic night-out. 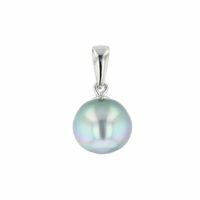 Pearl pendants also make the perfect gift whether it be for birthdays, anniversaries, or bridal occasions. Hinerava’s elegant pearl pendants and enhancers are made with the highest quality Tahitian Pearls and available in a rainbow of colors. 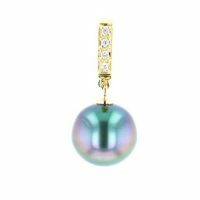 If you do not see the pearl pendant that you are looking for, please contact us to assist you. Hinerava's Absolute Collection presents a timeless jewel that exudes elegance with a contemporary edge. 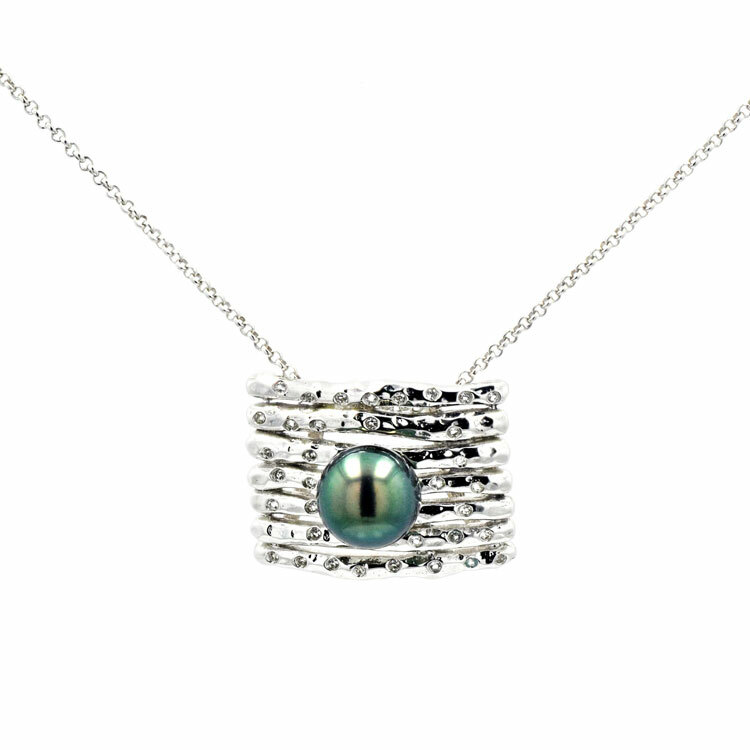 The necklace features a 12mm Tahitian pearl nestled in a cage of 925 silver set with brilliant white topaz. A hinged door allows the inlcuded pearl to be interchanged with any sentimental small object one may have.This necklace includes an 18" chain and is available in silver or vermeil. Hinerava's Absolute Collection features a round locket that will ensure that you keep your loved one close. 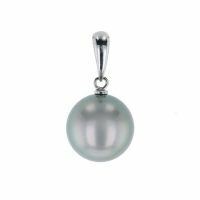 The locket is set with brilliant white topaz and an exquisite Tahitian pearl. 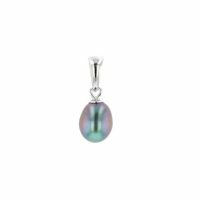 It is available in vermeil or sterling silver, and measures 20mm x 20mm. Chain is sold separately. 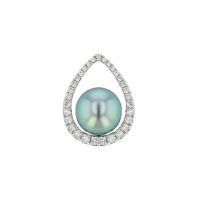 Hinerava's Absolute Collection features an oval locket set with brilliant white topaz and an exquisite Tahitian pearl. 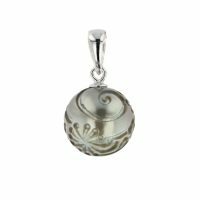 The locket is available in vermeil or sterling silver, and measures 30mm x 20mm. Chain is sold separately. Hinerava's Absolute Collection features a heart locket that will ensure that you keep those that you cherish most closest to your heart. 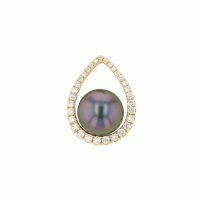 The locket is set with brilliant white topaz and an exquisite Tahitian pearl. 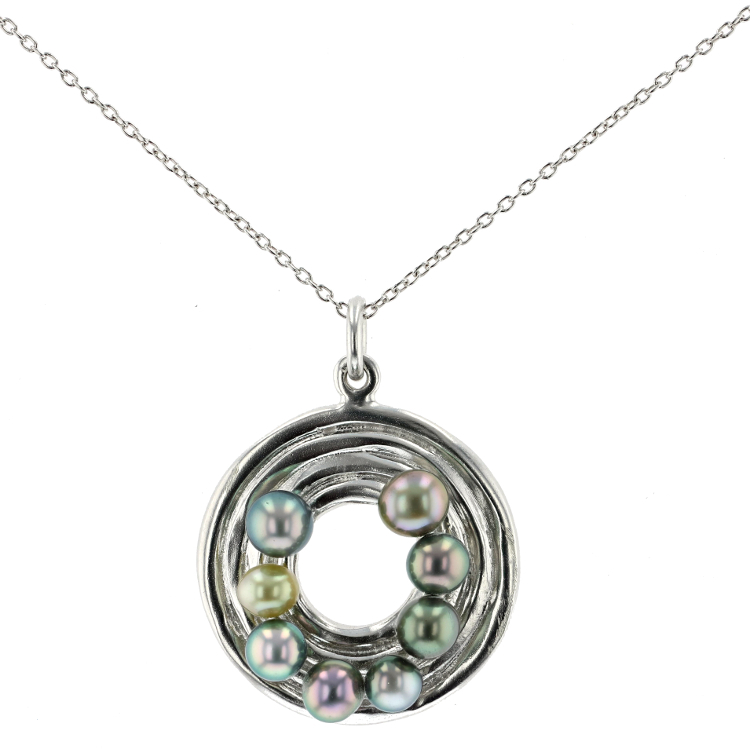 It is available in vermeil or sterling silver, and measures 20mm x 25mm. Chain is sold separately.